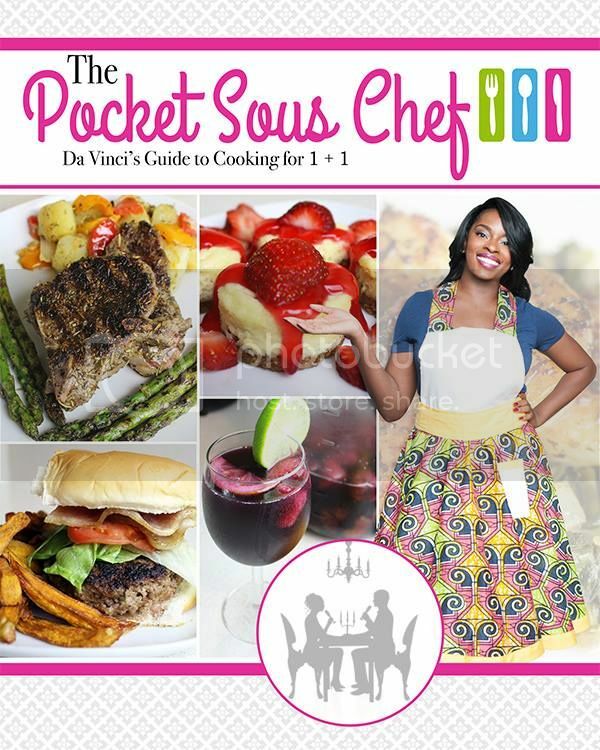 The Pocket Sous Chef "Da Vinci's Guide To Cooking For 1 + 1" is a cookbook about falling in love with cooking again. Many people with busy lifestyles or that are single donâ€™t identify with a lot of cookbooks because they donâ€™t fit in with their lifestyle. Da Vinci wrote The Pocket Sous Chef with singles, couples, students and busy professionals in mind. No longer will you need to slave over a hot stove just to make one meal for yourself or two plates of food. Now there is an easy guide with over 60 recipes - breakfast, lunch, dinner, snacks, desserts and drinks - to lead home cooks in the right direction and allow them to fall in love with making good food for themselves! 60 core yummy recipes, and then I have bonus recipes, surprises and additions too! Are They All Quick & Easy Recipes? How Can I Order My Copy? The book is available in Hardcover, Paperback, and ebook format. Click Here To Order!